The Division of Pediatric Gastroenterology and Nutrition evaluates and treats a broad spectrum of digestive disorders in children from infancy to young adulthood. With a multidisciplinary team that includes board-certified pediatric gastroenterologists, a pediatric nurse practitioner, gastroenterology nurses and dietitians, we provide state-of-the-art treatments, including the latest therapies for inflammatory bowel disease, and work closely with other subspecialists at the Herman & Walter Samuelson Children’s Hospital at Sinai to ensure high-quality, family-centered care. Our offices are located at easily accessible sites in Baltimore City, Mount Airy and Perry Hall. 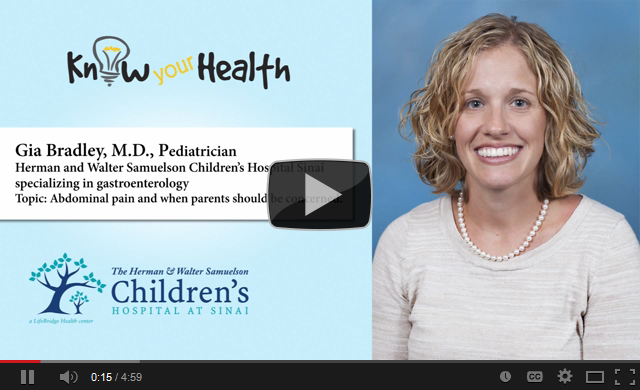 Dr. Bradley discusses abdominal pain in children. 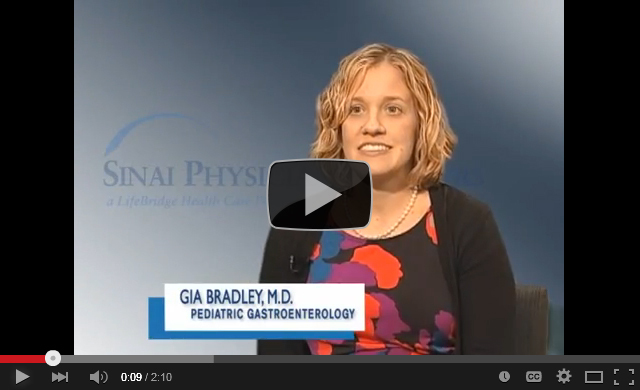 Dr. Bradley discusses pediatric gastroenterology. Dr. Murthy discusses pediatric gastroenterology.